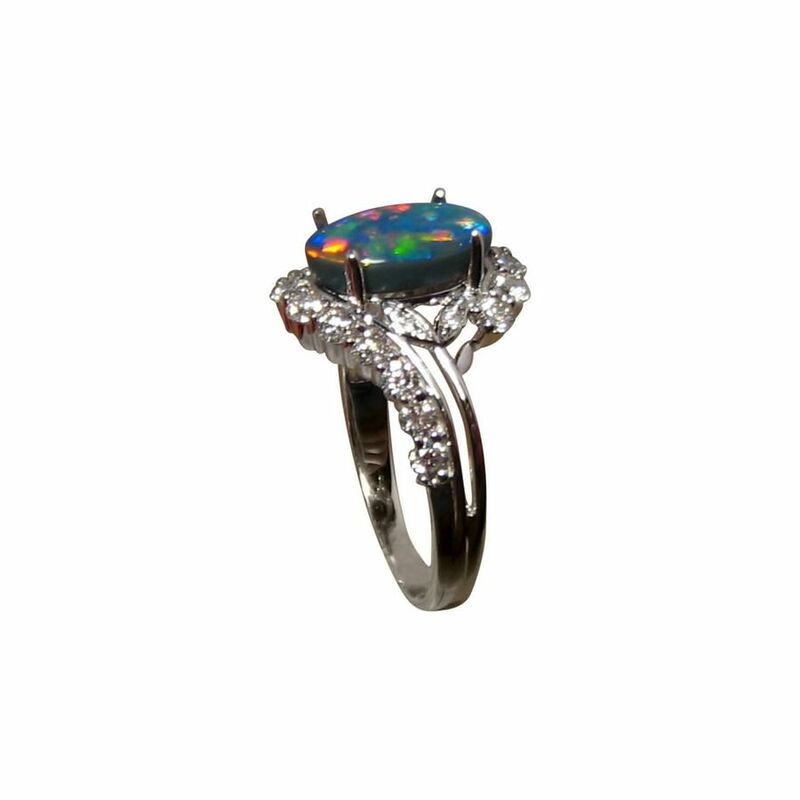 A stunning Black Opal ring with Diamonds in 14k Gold with an oval Lightning Ridge Black Opal accented with 2 mm bright white Diamonds. 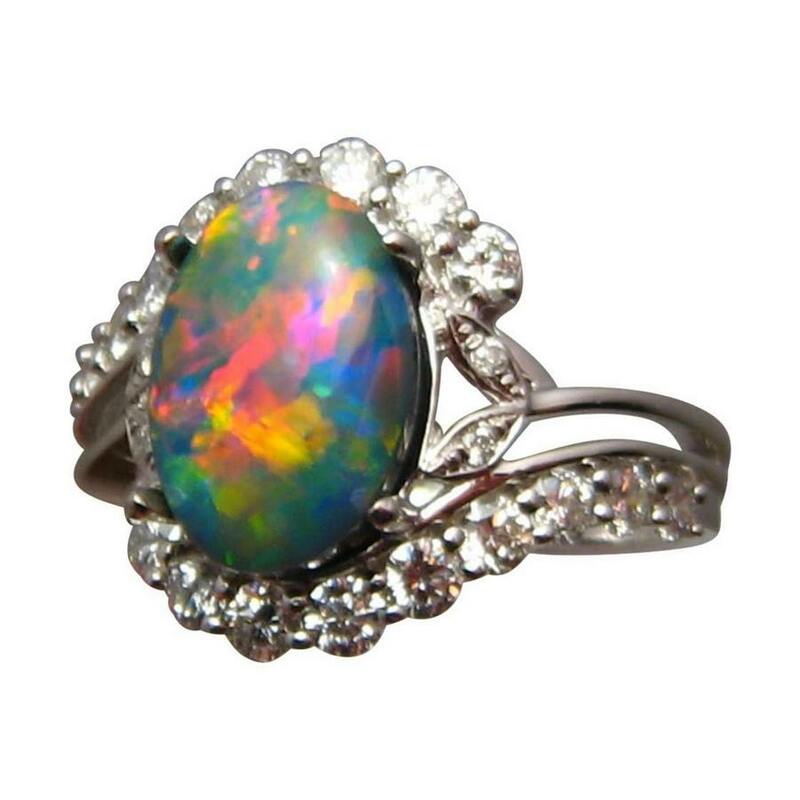 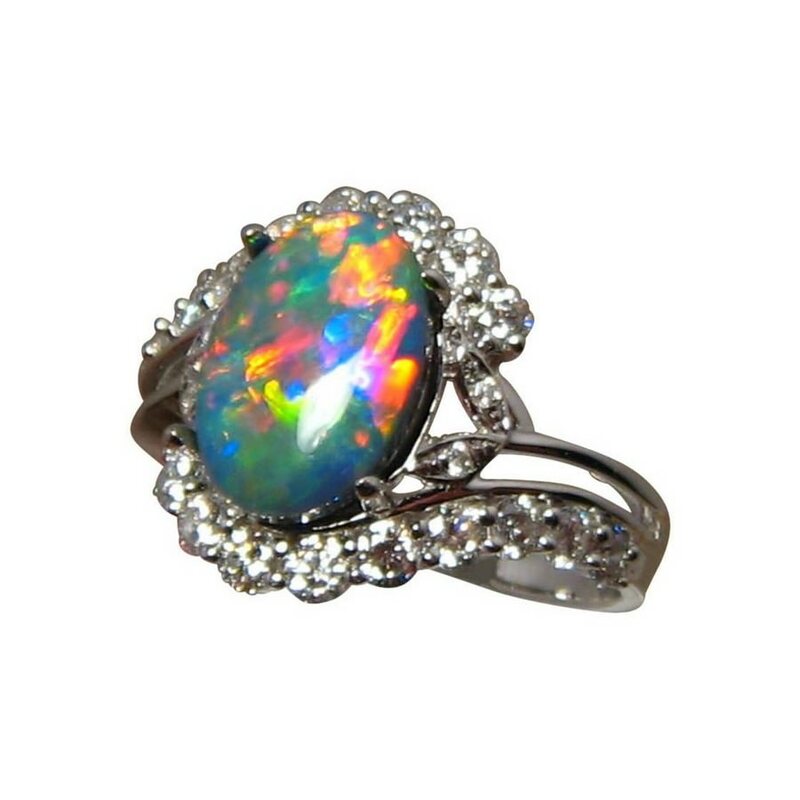 A beautiful Black Opal and Diamond ring for women that could be considered for an engagement ring. 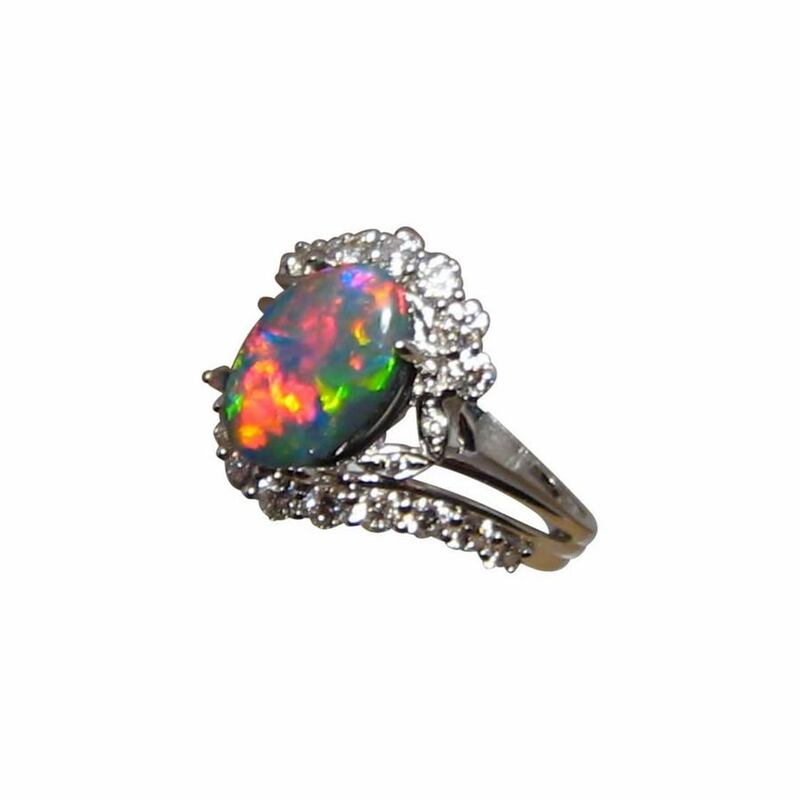 Shown in 14k White Gold, the Lightning Ridge Black Opal displays a stunning mix of extremely bright colors including Red and these flash in a lively Patch Harlequin pattern which can be seen in the video below. 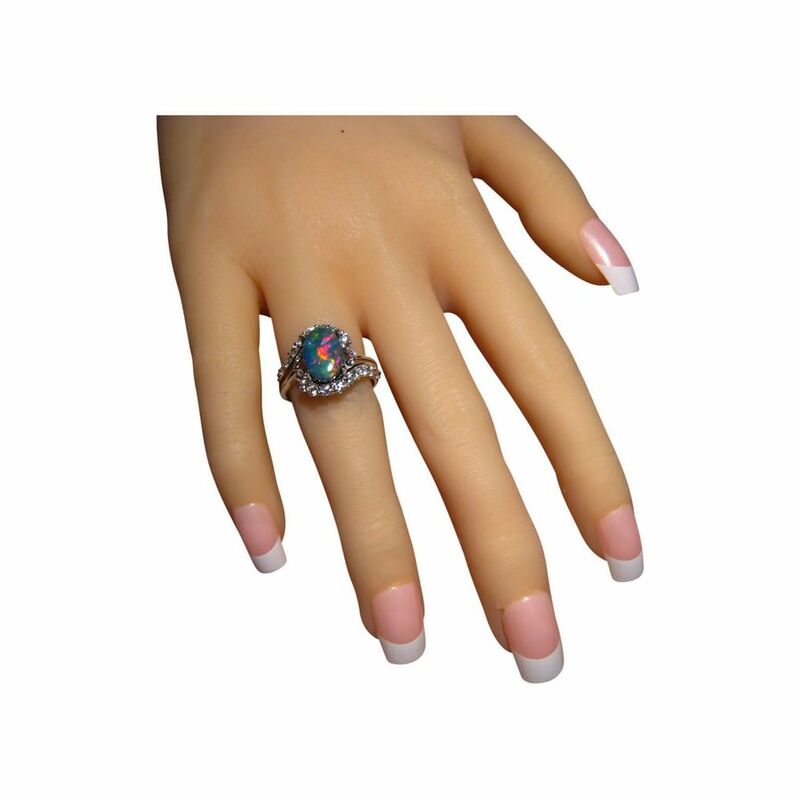 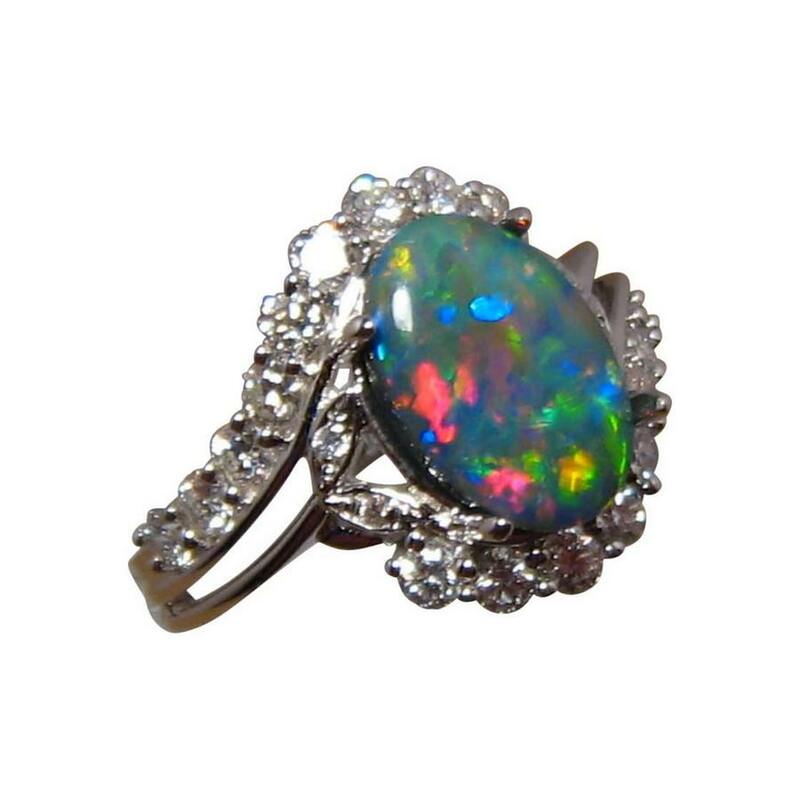 A vibrant and colorful Black Opal that is accented with a total of eighteen 2 mm quality Diamonds and four smaller Diamonds adding lots of sparkle and size to the ring. 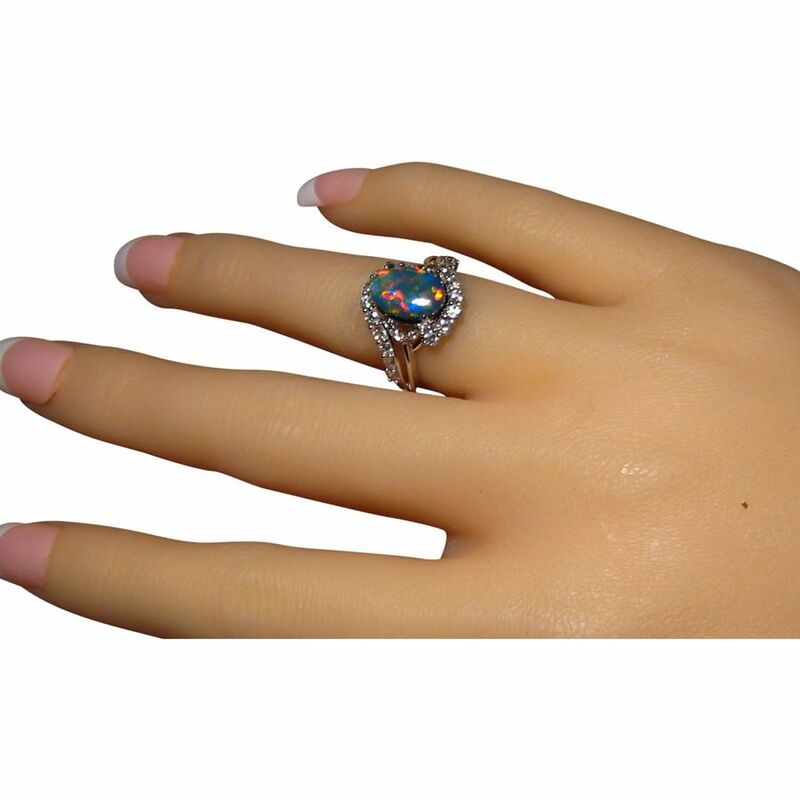 This outstanding Black Opal and Diamond ring will be noticed on the hand and is ready to ship as advertised or will take about 21 days for any other ring size or in White or Rose Gold. 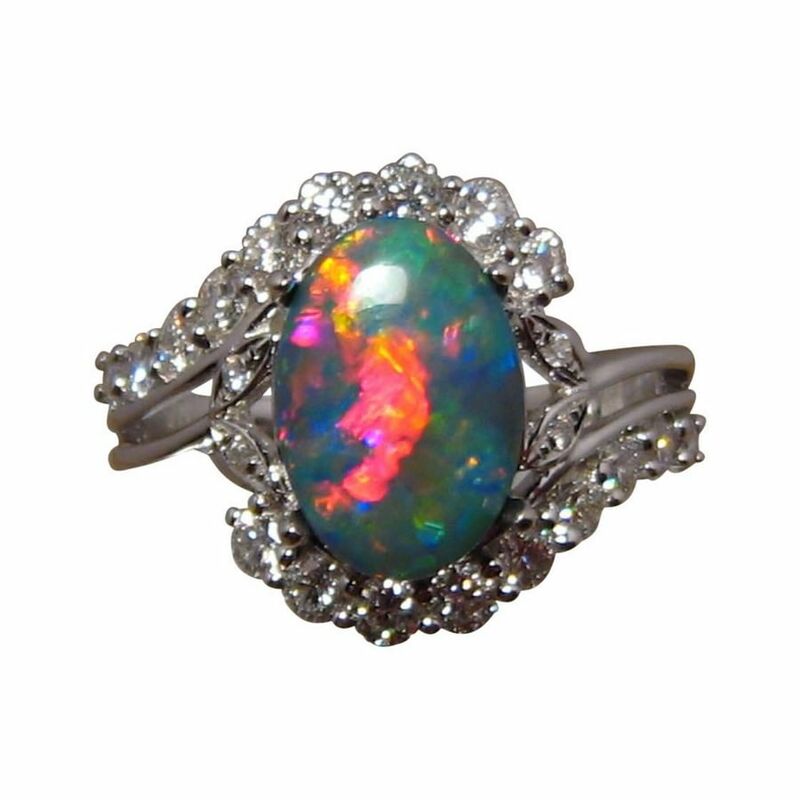 You also have the option of having this Opal mounted in a different style of setting - simply contact through this product with your inquiry.